Accomplishments: Interior designer for legendary estates including sheikhs, sultans, kings, diplomats from around the world. Perla has a global rolodex of clients from every country which has anything to do with opulence & wealth. Dubai, India, Iran, Israel, U.S., Jordan, Italy etc. Coral Springs, FL– Perla Lichi, Perla Lichi Design, Coral Springs, FL, and Erhan Ör of Han Hali Hereke Carpet Weavers of Turkey, have joined forces with plans for a new line of carpets. Designed by Perla Lichi, the initial offering will be twenty hand-knotted, one-of-a-kind carpets featuring unique colors and designs. The carpets will be on sale at the Han Hali website and at their stores in Turkey, and available for order at Perla Lichi’s offices in Florida and Dubai. Perla Lichi is a Florida State licensed interior designer, ID#1727 and a professional member of the American Society of Interior Designers. Perla Lichi Design is a full service, professional interior design company with offices in Coral Springs, Florida and Dubai, UAE, [Perla Lichi Gallery] and servicing residential and commercial clients worldwide. Perla Lichi Home, a brand new contemporary design showroom, will open in April at 3304 NE 33rd Street in Fort Lauderdale. The outstanding leader in Hereke production today is Han Halı. The House of Han is a family business, dating back four generations. The Ör brothers lead the company with a passion for their art. The Ör family tradition of making hand knotted carpets began with their great grandfather, who was supervisor of the carpet department in the Sultan’s Hereke Factory. He passed along his knowledge to his son, who went on to hold the same position. The skills inherited from their forefathers allowed the Ör brothers to initiate improvements in fine hand knotted carpet production for the local Turkish and international markets. The Hereke tradition continues today, as exquisite 100% handmade wool and silk rugs are produced for discerning collectors worldwide. For more information about Hali Han, visit http://www.hanhali.com. 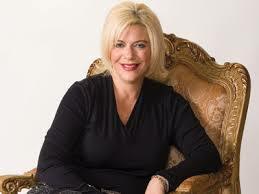 For more information about Perla Lichi, visit www.perlalichi.com or email info@perlalichi.com.